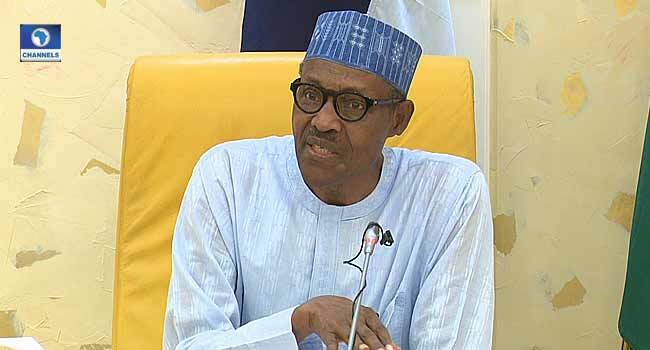 President Muhammadu Buhari while addressing members of Buhari Support Organisation at the Presidential Villa, Abuja, on Friday, June 8. Former President Olusegun Obasanjo had accused the Federal Government of plotting to silence him by using false witnesses to indict and possibly arrest him. Chief Obasanjo, an ally-turned critic of President Buhari, made the allegations against the government in a statement issued by his media aide, Kehinde Akinyemi. The former President based his statement on information received from highly-placed security sources who alleged that his name is on a watch list and that the security of his life cannot be guaranteed. But Mr Mohammed rejected the allegations, describing them as frivolous and aimed at distracting the government. Although the minister does not think there is any merit to the former President’s claim, he stressed that the Buhari administration was to busy fixing the country to consider the idea of framing anyone. ”This administration will never engage in a frame-up of innocent citizens. That is neither in the character of President Muhammadu Buhari nor in that of his administration,” a statement by the Special Adviser to the Minister, Segun Adeyemi, read in part. President Buhari observed that the response by the minister was professional and reminded Nigerians of the state of the nation in 2015 when he came to power. He believes it also captured the progress made since then and the ongoing efforts to strengthen the economy and better the lot of Nigerians.